The New Samsung SNP-6320RHP is a 2 Megapixel Full HD PTZ Network Dome Camera with 32x optical zoom and focused IR illumination. 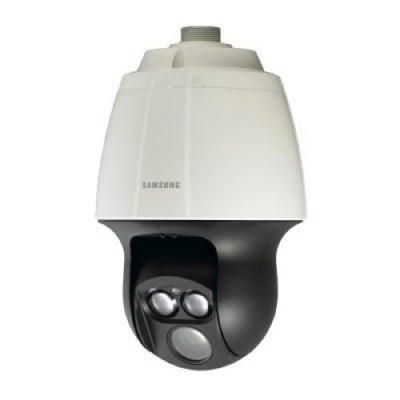 The IR function illuminates objects at a distance of up to 150m by focusing the beam as the camera zooms, resulting in clear imaging in total darkness. The SNP-6320RHP is also IP66 environment protected, IK10 vandal resistant and can withstand high temperature variations of -50°C to +55°C.